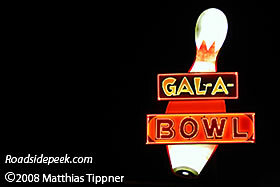 Gallup, NM is home to this old bowling alley called Gala Bowl. 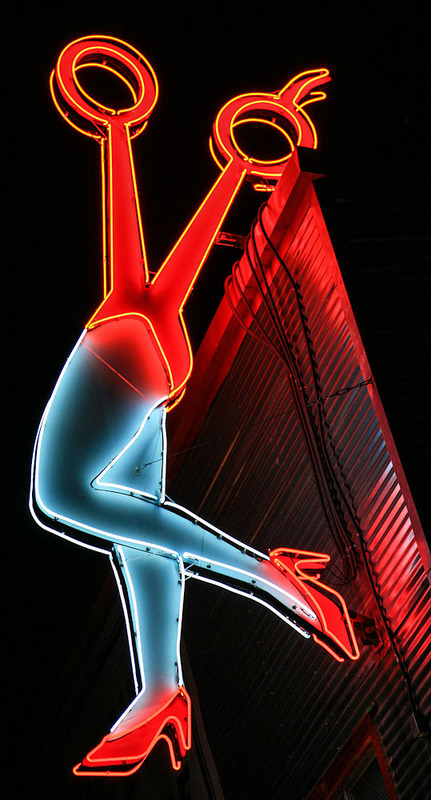 See this bowling alley and other neon signs at Roadside Peek's Neon Bowling New Mexico. Check out this roadside bowling alley sign at the Holiday Bowl. Located on this main street in Albuquerque, Skidmore's Holiday Bowl is a full feature entertainment center with 32 lanes of bowling, an arcade, restaurant and other features. 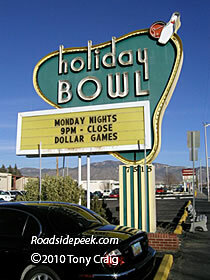 Check out other bowling alleys as well at Roadside Peek's Bowling Alleys New Mexico.